Last month we reported that Samsung Galaxy A9 Pro was soon headed for the international market. Well, it appears that this is indeed going to materialize as the latest reports indicate that the phablet has now passed Bluetooth certifications. The Galaxy A9 Pro was launched in China earlier this year, however, it was unclear whether the phone would be headed to other markets. Samsung has the habit of coming in with market-specific phones, but somehow these phones end up reaching out to the international market at some point (but not all of them). The international variant of the Samsung Galaxy A9 Pro bears the model number SM-A910F. This device has already gone through the same tests as far as Wi-Fi is concerned and now that Bluetooth standards have also been certified, there is no doubt that this phone’s international debut is just around the corner. The phone will be available both as a single-SIM and dual-SIM variant thanks to the fact that the Wi-Fi certifications involved both handsets. 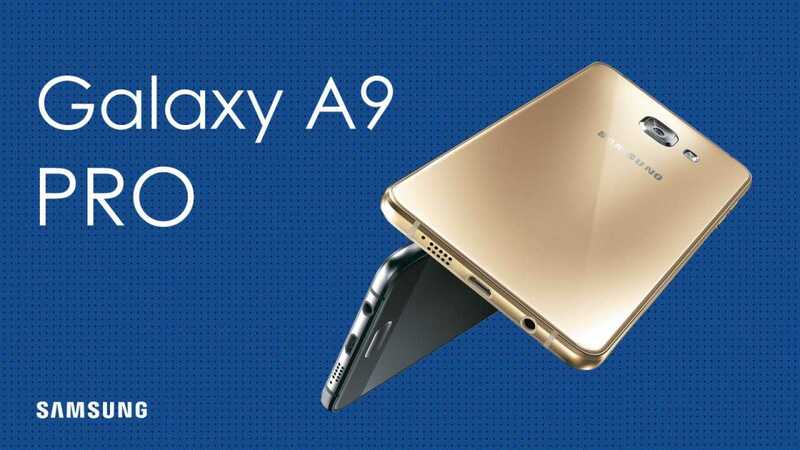 The latest version of the Galaxy A9 Pro to be certified carries model number SM-A910F/DS, an indicator that it is the dual-SIM variant of the phablet. Just to serve as a reminder of what to expect from the Galaxy A9 Pro, this phone packs a 6-inch Super AMOLED display screen with a Full HD resolution of 1080p. Under the hood, it has an octa-core Snapdragon 652 SoC that is paired with a RAM of 4GB and an Adreno 510 GPU. As for the onboard storage, you will get 32GB, which can be expanded via a microSD card of up to 128GB. Coming down to the cameras, the A9 Pro packs a decent 16MP main camera whose lens has an aperture of f/1.9, OIS and LED flash while the front has an 8MP lens with the same aperture. Features such as Wi-Fi, Bluetooth 4.2, LTE and NFC are on board, with the latter an indicator that it can be used with mobile payment services such as Samsung Pay and Android Pay. There is a fingerprint scanner on the home button and the phone uses a microUSB 2.0 connector to charge the massive 5000mAh battery unit it packs. Samsung Galaxy A9 Pro will come with Android 6.0.1 Marshmallow out of the box. Just as the release date of this international variant is unclear, it is also unknown which markets will this phone will be sold, exactly.